The editors of Inc. magazine spend their full working days tracking business growth. As it happens, much of that work involves a decidedly Oregon and Southwest Washington flavor. 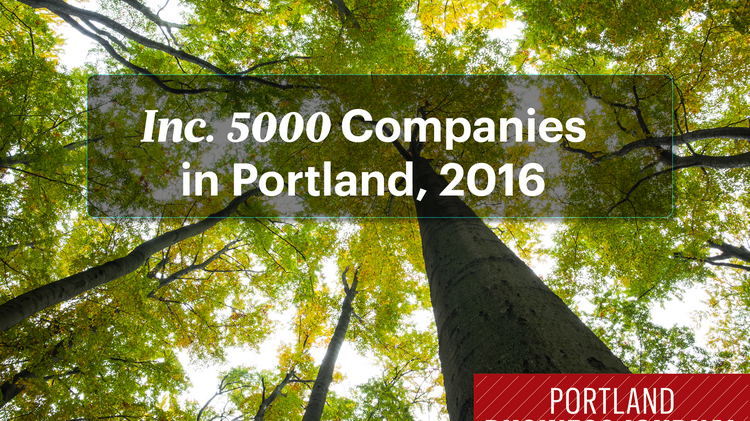 This year, a full 68 local companies have landed on the Inc. 5000 list, which hit the streets Wednesday. That's up from 62 in the region that made the list last year. This year's roster includes a healthy array of companies that specialize in technology, health and real estate services. Many of the Inc.-feted businesses also appeared on the PBJ's Fastest-Growing Companies list this year. Click through on the photo above for a look at which companies — much of the information was tracked down by the Datafox research company— made the Inc. 5000 list. Brandon curates the Business Journal's weekly lists and the annual Book of Lists. He also sifts through local economic data to tell stories important to the region.